Home birthstone Bring Rose Quartz materials to your home and invite wealth and positivity! Rose quartz also known as “Love Stone” represents the Goddess of wealth, Goddess Laxmi. It is believed that this stone helps in overcoming the financial troubles of a person and brings peace and prosperity in his life. It is said that this stone attracts happiness and positivity. - It attracts positive energy, better luck and abundance. - It helps you to become more successful in your job or line of business and manifest prosperity. - This stone is ideal for people who are looking for success in their business. Keeping this stone in their office will bring good luck and will help you to crack new business deals. - It also has the power to manifest your strongest plans through the power of will. - It is used in rituals associated with love. People often wear heart-shaped rose quartz to attract love and spread happiness in their relationship. 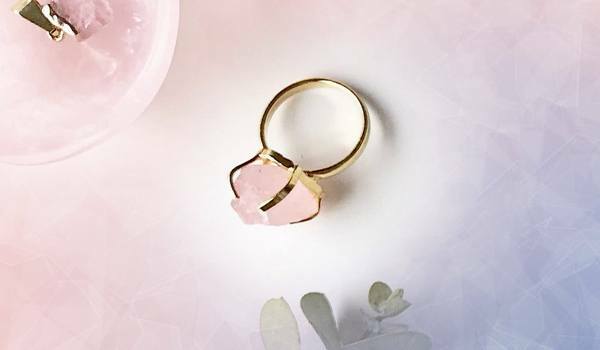 - Rose quartz is also said to have healing properties and it has proved to be beneficial to reduce headaches, migraines, sinus problems, liver, kidney, lungs etc. Also wearing this stone reduces wrinkles and slow signs of aging.